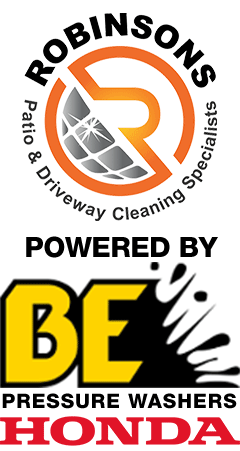 Robinsons PDCS, are now offering a new approach to cleaning the exterior of your property, your roof and surrounding patio, driveway and decking. Our new Soft Washing service is great value for money and hassle free in Sutton Coldfield, Four Oaks, Mere Green, Little Aston, Lichfield and Tamworth. Soft washing is a cleaning method which uses low pressure and specialised solutions to safely remove organic matter such as algae, mildew, lichen, moss and other organic stains, dirt, and debris from walls, roofs and other building exteriors of your home or business without the risk of damage to your property. With the use of cleaning solutions and low pressure our soft washing process will sanitise your property and leave it looking better 4-6 times longer than traditional power washing. External walls of houses, garages, industrial buildings as well as patios, driveways and garden and ornamental walls without the danger of damaging pointing. Soft Washing is also effective in your garden, removing algae and mould growth without harming other plants. The garden after Soft Washing, completely free of algae and mould growth. The Asphalt Roofing Manufacturers Association recommends low-pressure bleach or detergent assisted washing as the preferred method for cleaning asphalt roofs in order to prevent damage to the shingles.